So the pooch is called Milo. I was embarrassed to take him to the vet for a check up and have to confess he was unnamed, so we finally bit the bullet and picked a name. Why Milo? 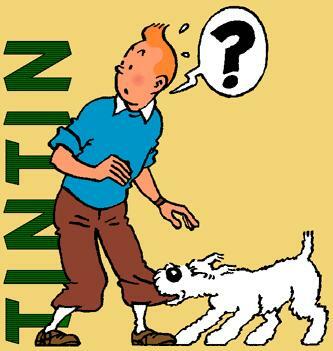 Well, mainly because my friend Jenny, suggested Snowy (who was Tin-Tin’s dog – as in “Hergé’s Adventures of Tintin!” and in French, Snowy was called Milou – anglicized to Milo. I tried to film Milo playing in the garden but it is so difficult as he only seems to want to play with my shoes and the bottom of my jeans (a problem Snowy seems to have too) but I did manage to get this short movie of him earlier. and the first name of the actor who plays one of my favourite characters in my favourite TV show ‘Heroes’ – Milo Ventimiglia who plays Peter Petrelli. How many birthdays do you have every year? ……. or is time flying by faster than I thought? There’s no way that’s a real dog – it’s an animated mop head! The reindeer leather is amazing! Very very soft to touch and quite stretchy. Paring it is very different from paring goat skin, but it’s not hard at all. The Finnish reindeer parchment is also great and reasonably priced too! DP – just the one but they do seem to come around far too quickly. I am going to start having them every two years to see if I can slow this ageing thing down. Kaija – I can’t imagine him called anything but Snowy! 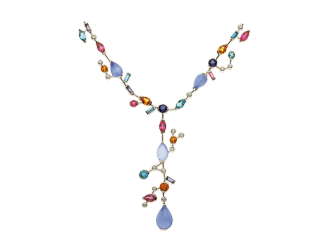 The Cartier necklace is fabulous! I don’t have that kind of money, but if my skills in jewelry making ever get that good, I’d actually make you one at a fraction of the cost (because I don’t have a famous name)! Oh, but your posts are the most delicious jumbles! And, yes, Milo is a perfect name for a perfect puppy. He looks just lovely the way he is meant to be! Don’t get him clipped! Milo suits the au naturel look? I will definitely take you up on your offer, if you decide to copy the Cartier necklace! 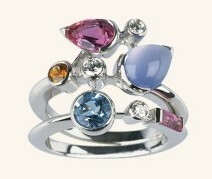 I just love the style of it – the fact it is full of precious stones is a bonus but not strictly necessary. Honest. My brother got a dog last week and named him Milo, too. Sadly, he decided within a few days that he couldn’t care for him and gave the dog to my sister who promptly changed his name to Hurley. Mile was named after Milo from Heroes! 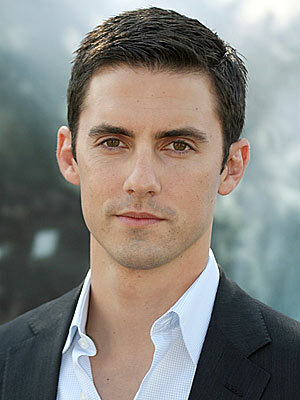 Who wouldn’t want a nice reminder around of Peter Petrelli? Glad to see you posting again! I missed you while you were gone! I’m assuming that Hurley is named after the curly haired, largish chap in ‘Lost’? 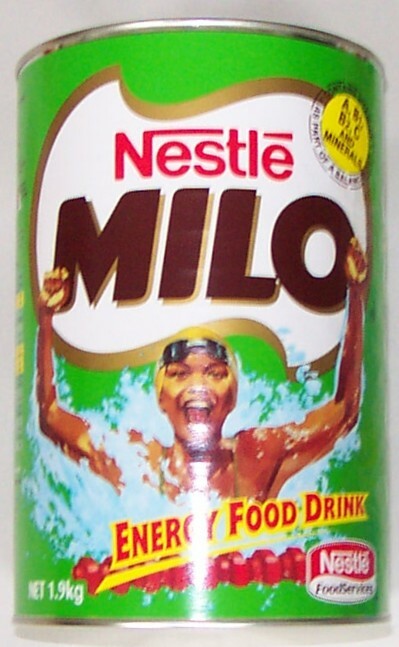 Give me Milo any day! Cutest video ever! Your dog reminds me of my dog when I was younger. She was a Cockerspaniel-Poodle. I was thinking of getting a cocker-spaniel/poodle dog – they call them cockerpoos over here, but I saw lots of Milo dogs in France and they were so well behaved, I thought I would get a Bichon Frise. They were obviously much older dogs – Milo is very cheeky! Que meli-melo! I can sure use that phrase today. Cute dog too. And isn’t everyone looking for that archive of traditional tools from Sangorski and Sutcliffe. Very good blog with very good content. Cheers! creechman – sorry about your electrical problems. Look on the bright side – at least it gets you out of doing the laundry…. I thought a Bichon Frise was a type of ice cream. Or is that a Bouchon Fraise? I get confused. That reminds me……I’d better take Fido out of the freezer. ‘What a jumble!’ Love it! My goodness I know it seems like years since I’ve dropped over. I do so hope you will forgive e.
But life was pretty hectic for a while with a five month visit to Maine and then returning home to be sick for a month and I am still not 100% yet. But, I am so glad I did make it by today. Oh my what a darling little precious ball of fluff! Thanks for posting the video. I am so glad I came in today and got to see it. Cute pup! I love the video! Ps: Finally joined the blog network thingy on Facebook – thanks for the invite; I left you a five star review (of course)! mr woppit – welcome! I hope Fido isn’t in the freezer because if he is, the ice cream is melting all over the dog basket…. La Donna – it’s a great phrase isn’t it? Rolls off the tongue! Shinade! So nice to hear from you again. I’m sorry you have been ill – I hope you recover very soon. Glad you approve of Milo – he is very cute…. Kim – that is weird, my friend Edwina has a puppy called Otis – I’ve never heard of the film, I must look it up! if you make up a 125 x 125 badge for your site ..